These days, social conversations reverberate quickly around the globe on social media, spawning the term “hashtag activism.” Within that genre, hashtag feminism is alive and well (there’s even a web site, hashtagfeminism.com, that comments on the most viral tags). 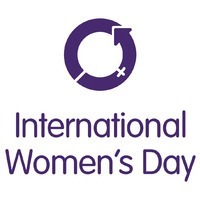 Earlier this month, I pointed out that the #internationalwomensday theme for 2015 was #MakeItHappen, which thus allowed people to search for this tag to learn about what events were taking place on IWD2015 around the world. Some of the most popular recent women’s empowerment hashtags have been protests against misogyny (#NotBuyingIt, #GirlsCount, #WomenShould, #YesAllWomen and its corollary #AllMenCan) or calls to support and amplify female voices and change agents (#AllinforHer and #ChangetheRatio are two of the most well-known). 2. The Clinton and Bill and Melinda Gates Foundations’ recent launch of the No Ceilings: The Full Participation Project report, a data- and video-driven web portal (and, oh yes, a report) launched with great fanfare at a splashy event on March 9, with its accompanying #NotThere social media campaign featuring well-known portraits, magazine covers etc. with women missing – making the point that we’re not there yet with respect to gender equality. Check out the humorous short video illustrating that point. 3. A grassroots, youth-led effort by SPARK Movement to put #WomenontheMap – literally. This group has partnered with Google to map the locations of important women in history around the work on Google’s FieldTrip app. The app will notify users when they are near a landmark location. What a fantastic concept – and there’s room for more. SPARK asks for our help in sharing with them important women (no longer living) to add to the app. Let’s let them have it, shall we? Learn more here. This year, the theme of International Women’s Day is “Make It Happen.” The United Nations has a somewhat wordier theme this year: “Empowering Women, Empowering Humanity: Picture It!”. There are now nearly 500 events registered in nearly 40 countries on the International Women’s Day information hub as of now, with over 1,000 expected by March 8. Check out the list and find out about an event near you – or organize your own. And, don’t forget to share your #womensday activities on social media using the suggested hashtags: #makeithappen, #womensday, #internationalwomensday, #IWD2015, or #PaintItPurple. (Why purple? find out here.) Share photos, too. For photographic inspiration, check out this photo gallery assembled by Thomson Reuters. Here’s to an inspiring International Women’s Day, during which you will make something happen!